Don’t just take it from us, read what others have said about Seasons of Layton. Residents at Seasons of Layton talk about their favorite things in Layton and at the apartments. Downsizing was supposed to be painful!! But it turns out that I love my apartment, staff, grounds, amenities, and community vibe. I’ve lived in the expensive mid rise apartments and still prefer Seasons of Layton. Don’t pay that much in rent!!! Trust me. If you’re looking for luxury living at an affordable price, centrally located in Davis County, YOU NEED TO CALL THE SEASONS OF LAYTON! I love it here and couldn’t imagine renting anywhere else! Keep up the great work! The nicest and best kept apartments ive ever stayed in. The facilities here are always in perfect shape. The a/c works like a dream. The apartments are very well insulated you don’t hear your neighbors. Management very nice they know you by name. Your utilities are metered which only pay for what you use not like other apartments. The pool area is really nice. The apartment is very spacious. It is very nice living here. I love living here. It’s an absolute joy. Braxton goes above and beyond to make you feel right at home. Also Patrick though new to the company is willing to do whatever is necessary as well. I would recommend them anyway of the week. Seasons of Layton is awesome. The complex is new, very clean, and very well maintained. I would recommend this place to anyone. Amazing place to live. Super quiet and affordable. Very good so far. been here almost 2 months. Quiet and clean Facility. With all the snow we have had, they do a very good job keeping road and sidewalks clean. Very impressed. Me & my husband love living here! It’s by far the best apartment we’ve ever lived in! The staff is very kind and willing to help anyway they can. It’s a peaceful place to call home! Extremely clean and quite which is hard to find. The apartments are beautiful! We got along great with other neighbors. My children loved playing with the kids on the playground. The staff is great and friendly! Would recommend this to anyone. My husband and I have loved living at Seasons! 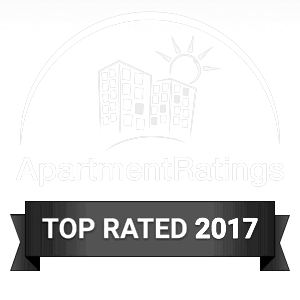 We have rented 2 different apartments (one 1 BR & one 2 BR) in the complex and just signed our third lease – we have not had one bad experience or encounter. It is affordable for how nice the apartments are and the amenities that come along with it (pool, theater, game room, etc.). We love the big windows and having a balcony to enjoy the mountain views. Their apartments aren’t as “cookie-cutter” as many others… the big windows and textured walls give their apartments character and they’ve made space for a designated dining area, rather than only room for bar stools, which is sometimes hard to find. We also enjoy being so close to so many stores, making errands quick, easy and painless so we can have more free time to do the things we love. Easy access to so many restaurants makes for fun nights out, too! The few times we have requested maintenance for something in our apartment they have had someone there to fix the problem within 48 hours or less. The management is friendly and attentive, sends rent reminders and receipts after payment, makes an effort to create a community atmosphere by hosting summer bashes and holiday festivities, and does not cut corners in providing a genuinely nice place to live and conducting business with integrity. They have a military clause and a discount on rent for military members, which is a huge plus. For those looking to live in a convenient location with good management and nice apartments, I highly recommend checking out Seasons! Comfortable and safe. It feels like home. Movie theater is a great bonus. A wonderful place that’s pet friendly and cozy comfortable. The staff is professional, courteous and prompt with attention towards caring for the residents and potential residents. I really love living here! The staff is especially quick to respond to my questions and concerns! Nicest place I’ve ever lived. I love living here. The office staff is so accommodating and helpful and the maintenance staff is always working. They have been especially great during this winter in making sure the walkways are clear of snow and ice. Recently moved in and thus far it’s absolutely “Great”. Closest place to home and management goes over and beyond to satisfy their residents. My husband and I have lived here for about a year now and have loved it! When we first moved in we felt like we were the only ones in the complex because it was so quiet. We were concerned that their policy on allowing pets would make it really noisy but we were pleasantly surprised that wasn’t the case. The units are set up nicely so that the only walls your sharing are either the floor or ceiling, depending on which floor you’re on. We had issues with our dishwasher and our AC unit and they were quickly resolved once we submitted a maintenance request and we haven’t had problems with them since they were fixed. Some people may say the fitness center is ‘blah’ but it has all of the equipment you would expect to find in a small gym. We go frequently and have never had issues with there being too many people. The property manager has been extremely helpful whenever we had questions or concerns about something. I think most people are willing to help out if you approach the issues in a kind and respectful manner and that proved to be true here! It is a bit on the pricey side but for the accommodations and how nice the units are- the price is really comparable to other complexes in the area.